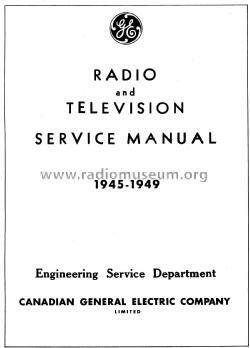 General Electric Radio and Television Service Manual sold by the Canadian General Electric Company for the years from 1945 to 1949. 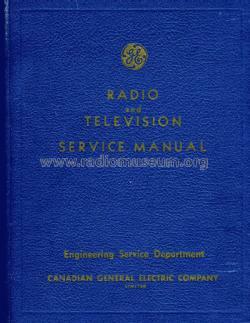 This manual contains pictures, the schematics and parts lists for models built during these years. 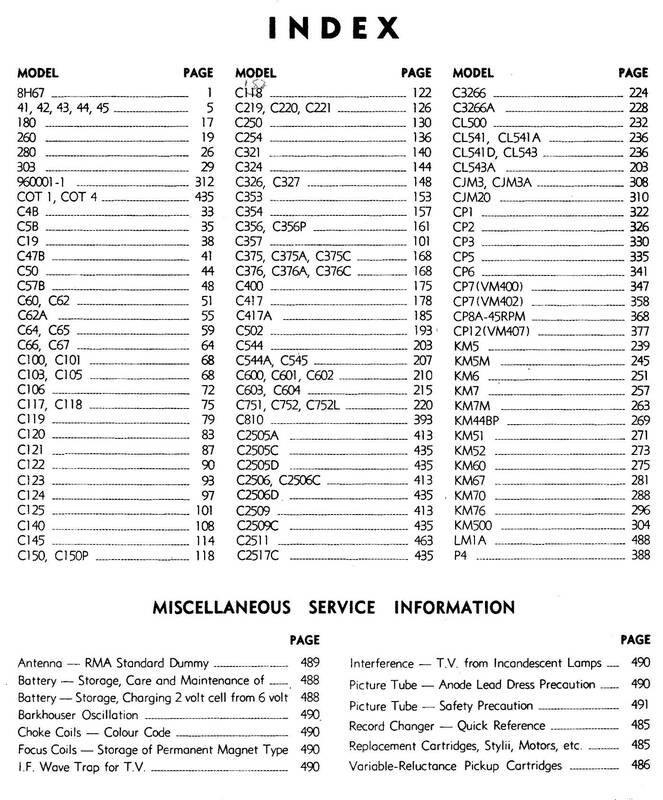 There are a total of 491 pages. 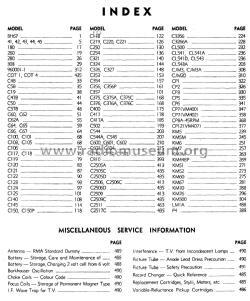 Click here for the 98 models documented in this literature, i.a.